Blueberry Baked Oatmeal. 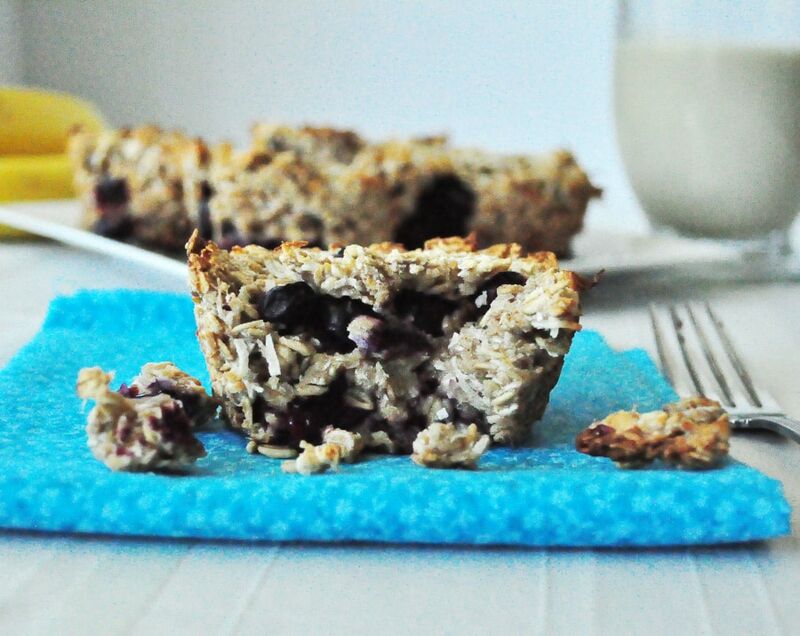 Have you tried baked oatmeal yet? 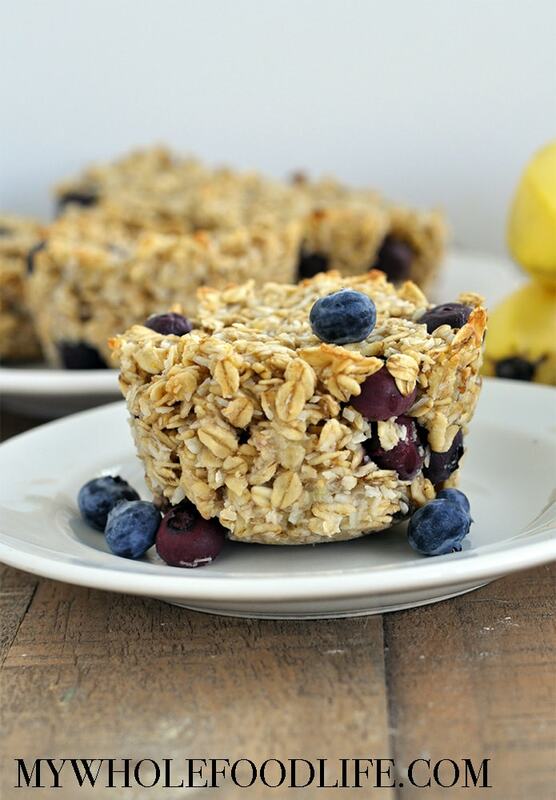 If you love oats like I do, you have got to try this blueberry baked oatmeal. One of my most popular recipes on the blog is my Strawberry Banana Baked Oatmeal. They are just so easy and a great way to eat oats on the go. This Blueberry Baked Oatmeal is also gluten free. We have held out on buying blueberries lately. They are one of the top foods on the dirty list, so I try to buy mine organic. Now that we are coming into berry season, the prices have come down quite a bit. So I stocked up. These baked oatmeal recipes also freeze well and taste great at room temp or even cold. My husband told me that this was his fave recipe so far. Needless to say, our batch is already completely gone! Guess I need to make another soon. Mix all the dry ingredients in one bowl. Mix wet in another. Add wet to dry. I used jumbo muffin cups and I got 5 out of my batch. That’s it. Enjoy! Yum...another winner! I added hemp seeds and a few dark choc chips on top. We loved these, but I found they fell apart when I took them out of the muffin pan after they cooled. Any thoughts? I doubled checked and didn't miss anything. I'm sorry that happened. I pack mine down really well in the muffin cups. Maybe that helps? I have never tried it with yogurt so I am not sure if that changed things? I'm glad you liked the flavor! A couple of eggs are needed. Without them, there's no binder. I made this this morning with strawberries- delish! LOVE this healthy food blog! I am enjoying one of these right now! YUM! Thank you again for sharing your recipes!! You are wonderful and I appreciate your work! P.S. FYI, I used a regular muffin pan and it was a perfect fit for 12 muffins. I prepared this at 1/2 recipe without realizing that I had no muffin pans, so I baked it in a small ceramic dish for 25 minutes. Came out amazing!